Florida court accepted 8-hour course for IDI, aggressive driving, or license suspension. Lowest price / money back guarantee. Florida drivers who have been court or judge-ordered to attend an 8-hour traffic school course for IDI, aggressive driving, or suspended license offenses can take their course on the web with FloridasFirstTrafficSchool.com! Instead of spending a day (usually Saturday) in class, or taking an online course that's all reading and no video, why not complete our online course that features mobile friendly videos, interactive animations, and colorful graphics? We also offer world class customer service. Read on for more information about the IDI course, including common reasons for course attendance, or take a look at our FAQ for complete course details. "Spending eight hours with your online course was a lot better than having to drive three counties away and waste a whole Saturday." Sometimes called Intermediate Driver Improvement, the 8-hour traffic school course is accepted by Florida clerks of the court for various types of attendance directed through administrative order. It's easy to get started. Just click the green "GO" button. Our online 8-hour Florida traffic school course is ready to be taken on your iPad, iPhone, or Android mobile device. For best performance, we recommend that you use the browser that came installed with your device. With our mobile friendly course, you now have even more convenience and flexibility when deciding where you want to go to 8-hour traffic school! Our course development team has spent years building online courses that are easy to read, easy to understand, and not loaded down with boring statistics. Where most of our competitors simply force you to wade through multiple pages of information, we scatter interesting videos and animations through our course to keep your mind focused on the course material. This makes the course go by faster and helps you retain the information longer. Drivers may be ordered to attend an 8-hour IDI course by a Florida court or judge, or they may elect to attend if given the option. Elective attendance is most common in Florida counties such as Dade, Broward, Palm Beach, and Orange. 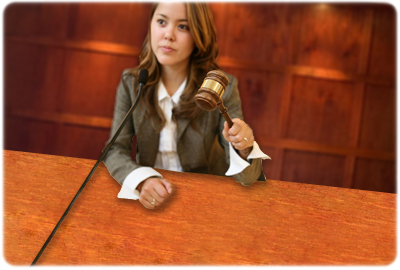 Judge ordered attendance is common when an offender has committed one or more serious traffic violations or has a record of violations. Drivers who are given the option to elect to attend usually do so to dismiss points from a second moving violation committed within 12 months. This option is sometimes given (most commonly in South Florida) to drivers because state law prohibits them from attending a 4-hour BDI course for more than one ticket within a 12-month period. If you are not sure what type of course you need, please call us at 1-800-222-9199. We will help you navigate through the often confusing requirements of Florida traffic school attendance. Click the "GO" button to sign up for your Florida IDI course. The online IDI course we offer is accepted by Florida courts.